What is the Guest Lecture Program? A ready-made presentation developed by industry experts to introduce students to the equipment finance industry. The overview presentation is customizable PowerPoint presentation, allowing you to share your personal experience. Depending on your audience, the presentation resources include additional slides that go in-depth on particular subjects (i.e. Lease Accounting) or other resources including video and graphical content. 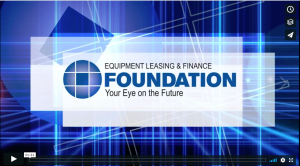 For questions, please visit the FAQ page or contact foundation@leasefoundation.org.